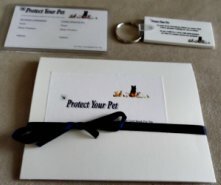 Cat collars are great way to inform others of your cat's address, your phone number and other information such as confirming that your cat has their rabies shots. Many people feel that only out door need to wear a collar, however in case of an emergency where your house cat is accidental let out of your home, their collar provides a way for others to be able to contact you and safely bring your feline friend home. Cat collars come in many different collars, sizes, designs and material. It is very important to make sure when buying a collar that it is the right size, make sure that you can you can comfortable fit two fingers between your cat's neck and the collar, that will show you that it is a perfect fit. As your cat grows from a kitten into an adult cat you will need to adjust your cat's collar so that it fits perfectly. There are three main types of collars; buckles,break away and elastic. Collars with buckles are a traditional type of cat accessory. They mainly come in either nylon and leather, and come in many decorative styles. Although these types of collars have been around for years, they are not the safest type of collars to buy for your cat. Once buckled this collar is very restrictive and if your active cat gets into a situation where he/she gets caught on something,this type of collar could possible choke your cat. This collar is mostly recommended for senior indoor cats who are less active, however keep in mind that even a senior cat is still curious, and still may find his/her self in a situation where he/she may need to be able to quickly get out of their collar. Break awy collars also come in many attractive colors and designs. These collars have a clasp that when pressure, like your cat's weight, is placed on the clasp it opens. These collars are safe because if your cat's collar gets stuck in something like a branch, your cats pulling will open the clasp, preventing the collar from strangling your cat and allowing your cat to go free. Your cat may also be able to open the clasp if they consistently pull at it with their claws, our cats have, so you may have to place the collar back on their necks several times.Although there is a chance that this collar could be removed by your cat if they do get lost, it is much safer than your cat getting tangled and being unable to remove the collar from their neck. A combination of a break away collar and microchipping your cat is the best way to locate and help to keep your cat from accidentally strangling themselves in case they do get lost. These cat collars are made of stretchy material. If you cat needs to get out of it's collar, the material expands as the cat pushes until the cat can push it's head out of the collar. This is a safe cat collar because it is not restrictive and allows your cat to be able to break free if the collar get caught. 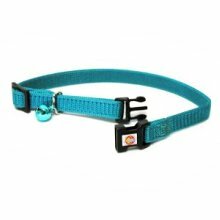 This type of collar can also be found in different colours and style in your pet store. Both the break away and the elastic are great ways to both add tags to identify your cat and help to prevent your cat from harm if the collar every does get caught. Reflective materials if your cat goes outdoors. Scratching Posts: A Guide On Choosing A Strong Durable One For Your Cat - There are many poor quality scratching posts that are easily damaged by your cat's claws. Here is a free guide on how to buy a durable high quality scratching posts for your cat. Cat Scratching Furniture Can Save Your Furniture - Cat scratching is healthy and natural, purchasing furniture for your cat to scratch can help to prevent your cat from damaging yours. 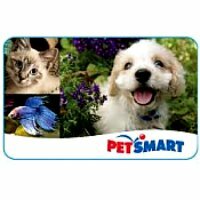 Fun Interactive Cat Toys - Interactive cat toys are both fun for your cat and a great way for your cat to get a healthy dose of exercise. Here are some great affordable interactive cat toys. Cat Harness: How To Choose The Right One For Your Cat - Discussing different types of cat harnesses, prices and how to introduce a harness to your curious but cautious kitty. 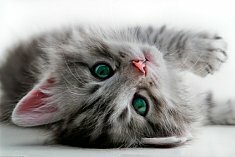 Cat Beds: A Guide On Choosing The Best One For Your Cat - There are many different types of cat beds, which ones will your cat actually use? Here's a free guide on choosing the best cat bed for your cat.